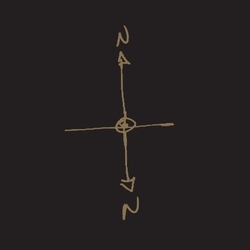 North of North is a trio project in which Pateras and Veltheim are joined by trumpeter Scott Tinkler, and their latest self-titled album, released a couple of months back on the trio’s own label _offcompass_, is a three-part improvised journey called Church Of All Nations. Where improvisation is concerned, there’s an important distinction to be made between short-term and long-term perspectives. 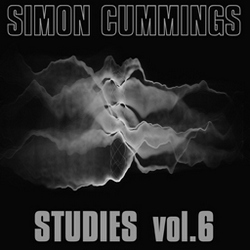 The most interesting improvisations i’ve heard don’t simply pay equal attention to both these perspectives, but unfold in such a way as to keep throwing emphasis on one such that our understanding of the other is enriched. The effect on the listener is akin to cinematic zooms and panning, pushing in to scrutinise filigree surface details, pulling out to reveal their broader context. As far as Church Of All Nations is concerned there’s an immediate hint, even before listening, that long-term considerations have been borne in mind, since the three parts are presented in the non-sequential order 1-3-2, an interesting decision that perhaps says something about the overall tone and content of the piece. The relationship between the trio is a close-knit one, intimate and responsive. In the first two parts (i.e. 1 and 3) there’s an initial ambiguity as to how separate or connected the players are, in 1 manifesting as parallel layers of Stravinsky-esque spiky gestures – almost like a contest, all three trying to outdo each other – in 3 as behaviourally unrelated material, like listening to three practice rooms simultaneously. In both cases a short pause early on acts as a gathering point, instantly clicking all three players together and redefining what they’re doing as aspects of the same overall discussion. The nature of the discourse in these parts is vigorous and somewhat relentless, the trumpet tending to dominate in terms of both tenacity as well as its overtly lyrical tendency. This lyricism does manifest in the other instruments too, but they often become locked into repetitive ideas as either an accompaniment or a counterpoint to the trumpet’s soloistic attitude. The music is often brought down by bursts of trills or tremolandi that more or less wipe the slate clean, but these don’t really interfere with the general momentum and energy which never dissipates or even wavers that much. By the start of the final section (part 2), 36 minutes in, this has come to feel like an inordinate amount of attention to surface detail, begging the question as to whether there’s going to be any meaningful longer-term awareness, dynamic range and gestural variety. This question is reinforced by the end of part 3, where for the first time the players become halting in their delivery, a shift that sounds momentous considering all that’s gone before. All of these things do, in fact, come in part 2 (the only one of the three parts where the trio sounds connected at the start), initially via a return of that halting delivery, but more so in a petering out of all three players’ material resulting in soft, slow, reflective music that sounds as though it’s from an entirely different world from everything else. The way this develops is magnificent, piano and violin surrounding the trumpet with intense tremolos that have the effect of suffusing it with light. The softness turns into a kind of wan uncertainty over time, ending up in a lovely dronal suspension, cheekily blown apart at the very end. Of course, assuming the three parts were initially recorded in order (1-2-3) this cheeky end of part 2 would have then led into the more demonstrative behaviour of part 3, and i wonder if North of North simply wanted to avoid the obvious triptych formation this would have formed, a pair of energetic outer panels (both lasting around 18 minutes) with a shorter contrasting panel in between. It’s nice that the piece doesn’t conform to that kind of obvious structure, though it does make the back-to-back listening of parts 1 and 3 something of an over-detailed slog before the real pay-off arrives in part 2. All the same, it’s well worth waiting for. 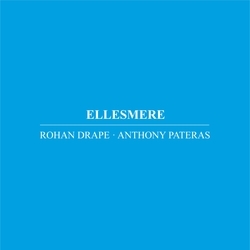 Ellesmere is a collaboration between Pateras and Rohan Drape that bears a much closer similarity to the soundworld of The Slow Creep of Convenience. For the two pieces on the album the duo brings together a pair of vintage organs, Drape playing a Yamaha YC45D, Pateras a Farfisa Compact Duo. In St John’s Wood, at over 36 minutes the longer of the two, the emphasis is on slow-moving chord changes generally limited to the treble register. The connection between what Drape and Pateras are doing is deceptive: united by behaviour, by instrumental family, by timbre, by pretty much everything in fact, but are they actually connected and/or responsive to one another? It’s hard not to believe that they are, but the quietly aloof nature of the music, notes and clusters buzzing, shimmering and beating as they jostle and collide, makes the opposite seem just as plausible. The upshot of this is music that exhibits a complex relationship with notions of harmony and progression; what i said before about short- and long-term perspectives is nullified here: the micro- and macro-structural levels of the piece are so interconnected and also so ambiguous that they essentially become one and the same, so it’s impossible to listen without feeling simultaneously zoomed in and out, a lovely musical paradox. Its sense of development is also moot, where the introduction or removal of notes is somehow both subtle and abrupt (though never feeling like true non-sequiturs), making one question the broader shape and direction of the music; there’s a recurring sense of new episodes starting while retaining a sense of continuation, another lovely, liminal paradox. Harleian behaves similarly but situates the organs in their highest register. Its shorter duration (13 minutes) therefore seems in part an act of mercy, though the piece is never exactly piercing. The harmonic ambiguity in particular is exacerbated here due to the altitude of the pitches, obfuscating not only their identity but also their nature: sometimes they appear to be drifting overtones that have been severed from their fundamentals, sometimes they don’t seem to be pitches at all anymore but a weird kind of ringing from an unidentifiable origin – as always with such high frequency sounds, turning one’s head while listening drastically alters the perception of its tinnitus-like timbre, and it seems to fill the entire listening space without obviously emanating from the speakers. They’re a remarkable pair of pieces that, as i’ve suggested, challenge our understanding of intention and outcome, the distinction between longer- and shorter-term perspectives as well as the relationship and contribution of the players. Put more simply, they fundamentally challenge our perceptions of pretty much every aspect of what we’re hearing, but quite apart from any of that, they’re beautiful, fascinating and disarming pieces that don’t really sound like anything else. 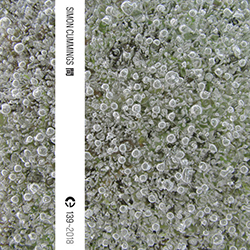 Both albums are released as limited edition CDs – available from Metamkine, Rumpsti Pumsti and Squidco – as well as digital downloads, from _offcompass_ and Immediata respectively.